"+30% leads processed by our sales team with @Sparklane_uk solution" . 600 grandes entreprises dans leur conquête de nouveaux marchés. SCC is an IT services company, the subsidiary of a British IT group. It turns over 1 billion euros on the French market and has 2,000 employees. 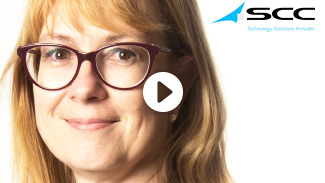 In this video, Catherine Pernet, Head of Marketing Solutions and Services at SCC, gives us her feedback on the Sparklane for Marketing solution. Before acquiring the Sparklane for Marketing solution, SCC was experiencing a situation characterised by problems of obsolescence in contact data and a lack of segmentation in its market. SCC uses the Sparklane for Marketing solution to supply its Oracle Eloqua Marketing Automation platform. SCC undertakes lead nurturing campaigns by pushing content dealing with both technology and business functions to its clients and leads. Sparklane for Marketing is also used to launch invitation campaigns for events organised with SCC’s partners. Opening rates have significantly improved, going from an average of 9% to 11%, and up to 30% on some hyper-targeted campaigns. The leads generated are of better quality. The sales people’s processing rate has increased from 50% to 80%. SCC will soon integrate the Sparklane for Marketing solution with the Eloqua platform via a connector which will enable real-time data updates directly in the Marketing Automation tool. At the same time, SCC intends to vertically address its markets, and will thus use the fine segmentation proposed by Sparklane to put in place accurate, market-by-market targeting. To conclude, Catherine Pernet summarises her feedback on Sparklane for Marketing in three words: reliability, simplicity and real-time information.